Broadview chose VC to help them foster a working environment that would align with their impact investing philosophy. 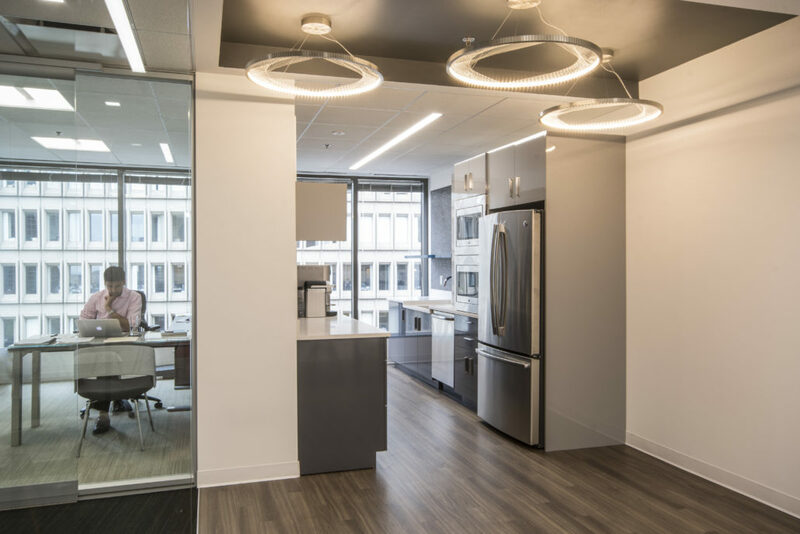 European design accents were implemented throughout the space in order to reflect the company’s French foundational roots. 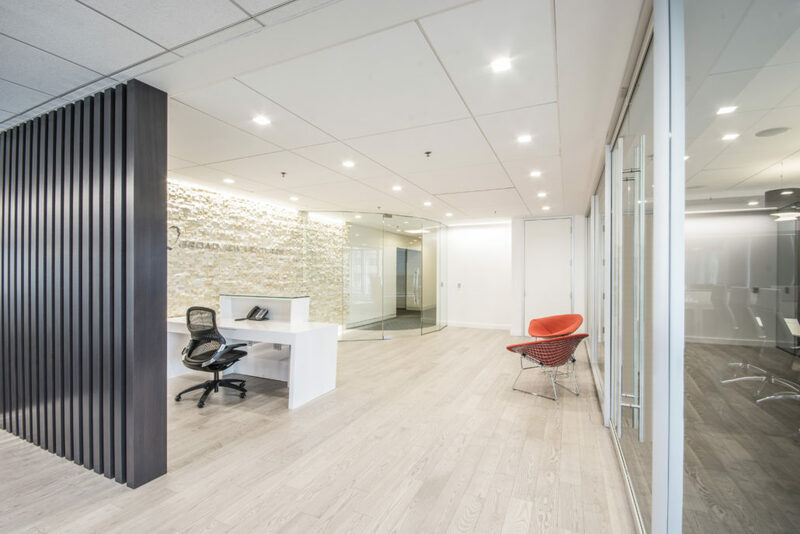 A minimalistic design approach along with the integration of transparency throughout the space results in a bright and free flowing environment. The use of warm natural materials juxtaposed against the curved glass entry and minimalistic vibe creates a space that is both inviting and elegant. 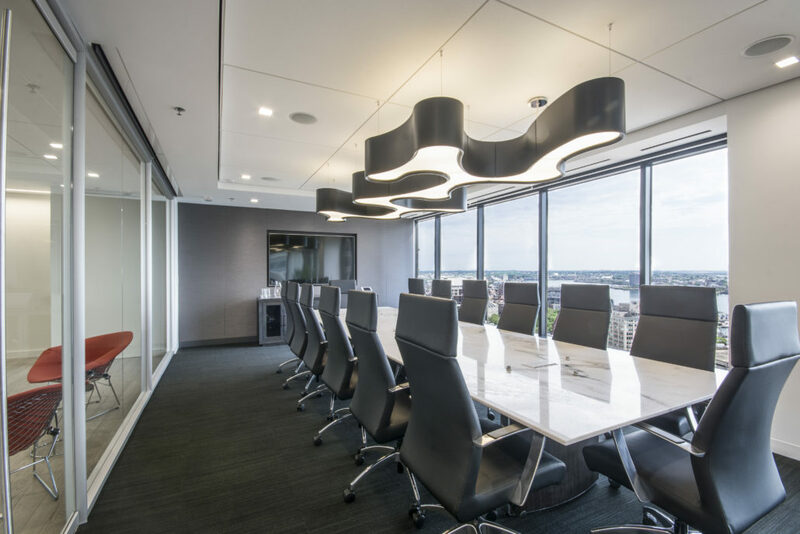 A selection of organically shaped light fixtures are featured throughout which provide a complementing contrast to the linear architectural elements. Inspired by Broadview’s mission and investing goals, VC’s design is both impactful and transforming.